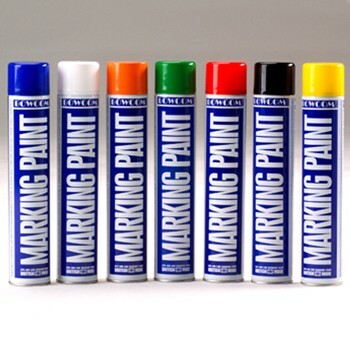 Aerosol Marking Paint. Each can is 750ml. Colour range white, yellow, red,blue, green, orange & black. Supplied in a box of 6 aerosols.